Commercial cleaning services by DBS Building Solutions keeps your facility or office clean & ready for customers and employees. 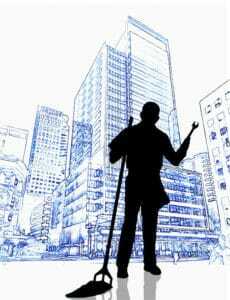 We take care of your office cleaning & building maintenance needs. Keep your image and employee efficiency strong with routine janitorial cleaning and regular floor maintenance care. Janitorial services customized to fit your needs with no long-term cleaning contract. 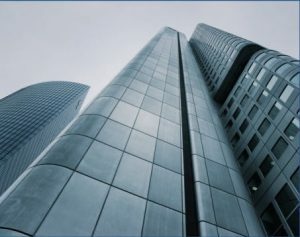 Commercial Cleaning Services by DBS Building Solutions provides custom, detailed, commercial cleaning services for corporate buildings, facilities, offices and more on a routine basis by experienced pros. Building Maintenance by DBS offers an array of building maintenance services including snow removal, painting, light bulb replacement, duct cleaning, and other general maintenance services. DBS provides routine maintenance & care for your office or facility's flooring. From carpet to vinyl and hardwood to ceramic tile, DBS can be counted on to keep your floors looking their best. DBS provides outstanding building maintenance and commercial cleaning services for facilities of all types and sizes. Whether you have a small office, corporate office building or large multi-tenant building, our ability to deliver top-notch janitorial services coupled with unparalleled customer service and highly competitive rates is what sets us apart from the competition. If it is your company's first time contracting a building maintenance & commercial cleaning service, we can work with you to establish a cleaning schedule to meet your janitorial needs and exceed your expectations. This may include an initial deep cleaning, detailed commercial cleaning services, or any combination of services that best suit your needs and budget. And if your choosing to change to DBS from another commercial cleaning company, we can provide competitive pricing as well as consistency and professional results, all without the headaches of a long-term contract. Let DBS provide you with a free facility cleaning assessment and proposal for all your commercial cleaning and janitorial needs by filling out the form above or calling us today! A dedicated DBS representative will contact you today to schedule an appointment to discuss your janitorial needs and assess your facility in person, at your convenience. After completing the meeting and assessment, your DBS representative will provide you with a service proposal that accomplishes all your commercial cleaning and building maintenance needs at a competitive rate, without the hassle of a long-term contract. DBS provides unparalleled customer service, dedicated representatives, screened professional service providers, and no long-term contracts. DBS provides value that is unparalleled in the commercial cleaning, building maintenance, and janitorial services industries. Medical & healthcare cleaning by DBS eliminates contamination and reduces the spread of Healthcare-Associated Infections (HAI). Our service professionals assigned to medical & healthcare facilities are experienced and knowledgeable in the industry standards and cleaning practices that reduce and eliminate bacteria, microorganisms and other potentially infectious materials (OPIM). Medical Offices: Doctors, Dentists, etc. Call or fill out the form above to have a dedicated DBS representative provide a medical or healthcare facility cleaning proposal for your facility. 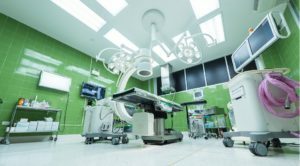 DBS Building Solutions provides medical or healthcare facility cleaning with unparalleled customer service, dedicated representatives, screened professional workers and no long-term contracts. School & Early Learning Center cleaning by DBS Building Solutions. We provide service professionals that have years of experience cleaning educational facilities, including schools, early learning centers and daycare centers. The importance of a clean educational facility for our children cannot be overstated, that is why we clean educational facilities with the same thoroughness as cleaning a healthcare facility. Not only will your entryways and classrooms look clean, also your surfaces will be sanitized to help prevent the spread of germs and illness. 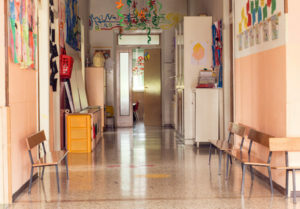 DBS Building Solutions can take care of all your school's or early learning center's cleaning, floor maintenance, general maintenance, janitorial, and much more. Call or fill out the form above to have a dedicated DBS representative provide a school or early learning center cleaning proposal for your facility. DBS Building Solutions provides school & early learning center cleaning with unparalleled customer service, dedicated representatives, screened professional workers and no long-term contracts. Janitorial cleaning service with experience in professionally cleaning car dealerships can help your sales efforts. Thorough dusting and disinfecting and overall cleanliness helps customers have confidence to buy from your dealership. DBS keeps your showroom, showroom glass, waiting rooms, office areas and restrooms sparkling. We have a floor maintenance program to properly maintain and resurface your flooring. Maintain your service bays with scrubbing and degreasing, our Service Professionals have the equipment and know-how to get the job done right! Get a competitive value in janitorial cleaning with no long-term contracts from DBS Building Solutions. 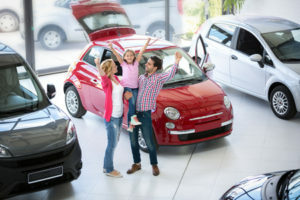 Call or fill out the form above to have a dedicated DBS representative provide an automotive dealership cleaning proposal for your car dealership. DBS Building Solutions provides automotive car dealership cleaning services with unparalleled customer service, dedicated representatives, screened professional workers and no long-term contracts. Cleaning of religious facilities including churches, synagogues, mosques, and other places of worship can vary. 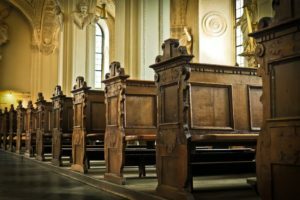 DBS specializes in religious facility cleaning and we understand the specific needs of your religious facility by providing a dedicated representative that will understand and coordinate your religious facility's specific cleaning needs with quality control and respect for the needs required. Call or fill out the form above to have a dedicated DBS representative provide a religious facility cleaning proposal for your place of worship.DBS Building Solutions provides religious facility cleaning services with unparalleled customer service, dedicated representatives, screened professional workers and no long-term contracts. DBS Building Solutions can clean your bank or credit union's floors, counters, walls, bathrooms, windows, air ducts and more. We have highly skilled cleaning professionals that are screened and experienced in bank and credit union cleaning.Have a DBS Building Solutions representative visit your facility to discuss your specific cleaning needs and expectations and provide a free proposal. 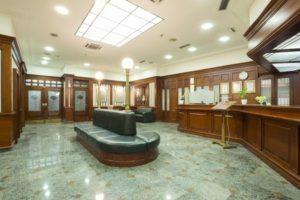 DBS Building Solutions can take care of all your bank's or credit union's cleaning, floor maintenance, general maintenance, janitorial, and much more. Call or fill out the form above to have a dedicated DBS representative provide a bank or credit union cleaning proposal for your building. DBS Building Solutions provides banks & credit unions cleaning services with unparalleled customer service, dedicated representatives, screened professional workers and no long-term contracts. DBS Building Solutions cleans your manufacturing facilities production floors & equipment surfaces, offices, counters, walls, bathrooms, windows, air ducts, and more. We have highly skilled cleaning professionals that are screened and experienced in manufacturing facility cleaning services. 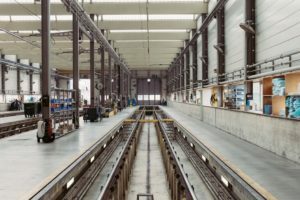 DBS Building Solutions can take care of all your manufacturing facilities floor maintenance, general maintenance, janitorial, parking lots and much more. Call or fill out the form above to have a dedicated DBS representative provide a manufacturing facility cleaning services proposal for your facility. DBS Building Solutions provides manufacturing facility cleaning services with unparalleled customer service, dedicated representatives, screened professional workers and no long-term contracts. DBS Building Solutions cleans your gym, dojo, dance studio, playground, court, track or other fitness related areas and equipment. We have highly skilled cleaning professionals that are screened and experienced in fitness facility cleaning services. 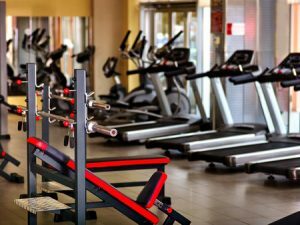 DBS Building Solutions can take care of all your fitness facility equipment sanitation, floor maintenance, general maintenance, janitorial, heavy cleaning and much more. Call or fill out the form above to have a dedicated DBS representative provide a fitness related facility cleaning services proposal for your gym or fitness center. DBS Building Solutions provides fitness facilities cleaning services with unparalleled customer service, dedicated representatives, screened professional workers and no long-term contracts.